If you need to let your home out in the short term, but don’t want to make it a permanent arrangement, there are certain things that you will need to take into consideration. Most of the rules that apply to letting out a property full time still apply to you, so it’s not just an easy option and you’ll definitely need to put some thought into whether it’s what you really want to do.Of course, it’s always better to have someone in a house than to leave it empty if you are going to be away for a while, so the short let option certainly has some advantages. And you can make some money from the property in your absence. A short let can turn out to be a profitable option, as you may be able to charge a higher rent than you would if you were letting a property out full time. You will need to check that there’s nothing in the terms of your lease (if you’re thinking of sub-letting) and also that you’ve made all of the appropriate arrangements with mortgage providers and insurance companies. It’s also a good idea to check with your local authority about the validity of a short let, because some of them won’t allow lets that are less than six months in duration. There are specialist agencies that are experienced in dealing with short let arrangements, and it could be worth talking to one of these if you don’t feel confident in going it alone. This would be especially helpful if you’re going away for a while and might not be available to carry out maintenance on the property. As with long term lets, you will have to make sure that all of the furniture in the property complies with the relevant safety legislation, and that all the vital safety checks are carried out before you make the property available for a short let. This is your legal responsibility. You’ll also be expected to offer the property fully furnished, and this includes everyday items such as cutlery, towels and bed linen. If you’re not happy with a stranger using your personal items, you could always put those into storage and buy inexpensive replacements. It’s a good idea to put any personal, treasured items in storage or leave them with someone to look after, too. The responsibility for all of the household utility bills will remain with you, as a landlord, if you let your property out on a short let basis. You’ll need to make sure that arrangements are in place to carry on paying those bills. Obviously you can account for this in the rent that you charge your short term tenants, and they will in effect be paying the bill even if it’s in your name. 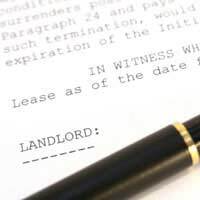 If you use an agency to handle the letting, they can keep an eye on the amount of fuel that your short let tenant uses, and if there are any huge hikes in the usage you should expect them to investigate. It’s harder to keep an eye on things if you’re handling it yourself, but you need to make sure that you don’t let this area of responsibility fall off of your radar, as you don’t want to return to an enormous bill or the news that the massive rise in electricity was down to the illegal cannabis farm set up on your property! I’ve let my house out for a 2 month period. It’s in the centre of a town full of bars. I explained this to the booker as they were bringing kids. First they said they didn’t want it for this reason then came back to me next day and said they wanted it. I even asked what about the bars and noise and they said they were fine by that. Now a week into the let, they want to leave. They paid 2,months upfront. How much refund if any are they entitled to. My short let tenant for 3 weeks . Didn't pay full rent with all difficult circumstances excuses and while a week left still some rent to be paid. He is bringing up all complainants and looking for compensation but don't want to leave either. I have asked him to leave and I will return his whatsoever rent is left and he can keep his dues which were supposed to be paid on arrivalto make for 3 weeks. What should be done in this situation? It's a mentle stress. I let out my house last December 2015, for an agreed short term of one year. The only reason we did this was lack of money to move in ourselves and family problems. I know need my property back, but as I was unaware of the HMO i did not register, I am so stuck. What can I do, please help me. Question-I want to let my property as short let on permanent basis.my property is fully Comply with all the rules.such as insurance Fire rules Safety rules etc.I have HMO licence.do I need any thing from local authority. You state that " It’s also a good idea to check with your local authority about the validity of a short let, because some of them won’t allow lets that are less than six months in duration." What nonsense is that?It's no business of the local authority whether a property is let for a week or a year!The laws on letting made nationally - not in local town halls!